of Glenn Sheallag, and Moondust Masterpiece. 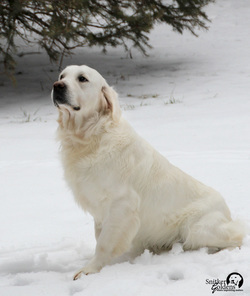 At 72 pounds, Bonnie Sue has her sire’s wide brow and her dam’s finer, straighter coat. She has a strong and athletic build with full health clearances on hips, elbows, heart, and eyes. Bonnie Sue’s PennHip score is 95%, and she is ICT carrier, prcd-PRA clear, PRA1 clear, and PRA2 carrier. Her temperament is very much like her mother, Nadia, being very gentle with people, yet commanding a presence within the female pack. 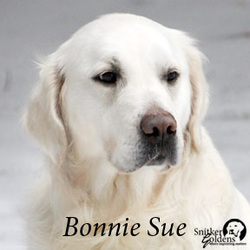 ​Bonnie Sue is a hard player, and yet settles nicely and attentively as appropriate according to her environment. 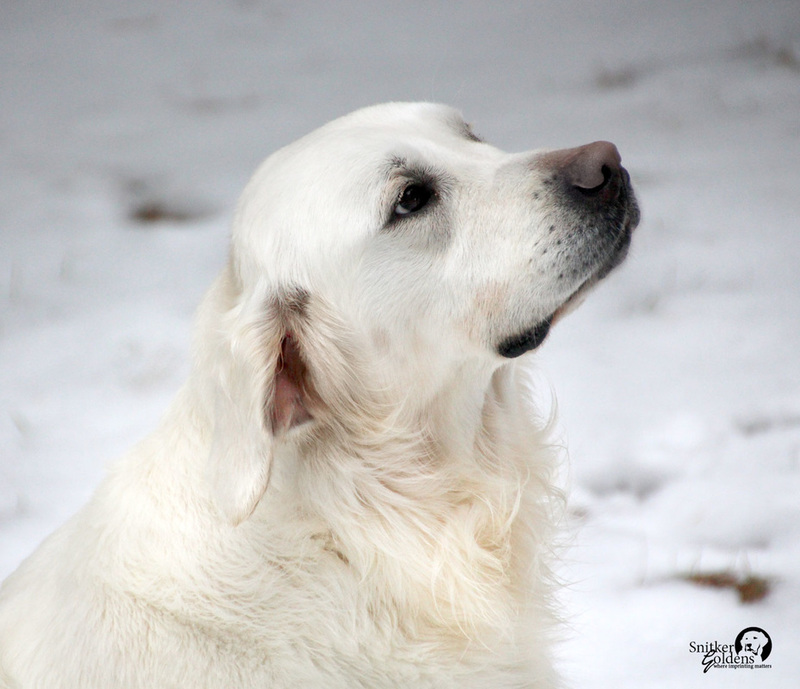 Intelligent and a heart to please, we are fortunate to have this Snitker Golden offspring as part of our breeding program. 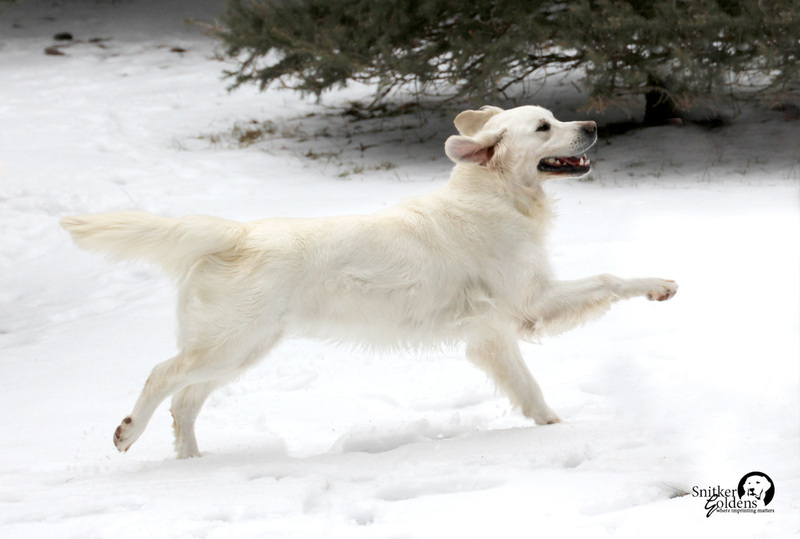 Bonnie gives us very athletic pups with creamy-colored light coats. Nice energy and devoted companions. Click to view Bonnie Sue's Pedigree and Health Clearances.